Market research is gathering of information regarding the needs and wants of customers and putting it together for better understanding of the business. Conducting Market research is necessary to all business organisations. It helps with providing valuable information for identifying and analysing probable pitfalls and market opportunities for your business, competitors analysis, better marketing strategies to put mileage on to your business. 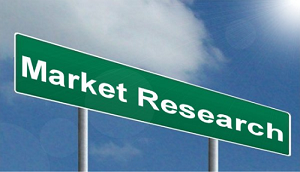 There are two types of market research – Primary research and secondary research. Surveys (online or email): Conducting market surveys has become very easy using online tools. There are several free online tools used for surveys that will provide you with statistical research data of your target audience. For example, try Surveymonkey.com, instant.ly, getinstant.co, etc. Questionnaire (online or mail) – Several free resources for questionnaire template are available on for example, try templatelab, tidyforms etc. Focus groups: In this, you will be interviewing a sampling of potential customers or people and getting their feedback. Conduct product/service tests: This is where you offer products or services for free, or give a demo to sample customers or people for testing and getting feedback from them. Quantitative methods: This method employs the statistical analysis and require a large sample size. For example, one of the tools which shows the quantitative results of your website statistically is Google web Analytics. This tool gives a complete information of where your leads coming from, how long there are been on website, no. of pages they visited, etc. Participant observation: In this, a researcher acts as a customer and collects the data. Direct observation: In this, a researcher collects the data by just watching rather than taking part. For example, videotapes can be used for this purpose. Unstructured Interviews: In this, direct interaction takes place between the researcher and respondent or group of respondents. Unstructured interview indicates that no particular questions are framed to ask the respondents. It is rather difficult to analyse the data from unstructured interviews as each interaction with respondents is different. Case studies: Here you study specific individuals or a specific context. There is no single way to conduct a case study, so a combination of methods ( unstructured interviews, direct observation, etc.) can be used. If you are running short of time and resources to do this exercise, you can think of outsourcing the process to agencies like channelplay, lumiere solutions, crosstab, intageindia, etc. Results of the market research process are analysed by comparing the data you have collected to the goals you set originally while planning your market research and performing SWOT (Strength, Weakness, Thread, Opportunities) Analysis. The findings of this research, coupled with the strategies from the SWOT analysis, will aid you in deciding further course of action. Market research should be done in a regular basis for better understanding of different market opportunities, change in customer preferences and update according to the customer demands. Here are the points that explains the need and importance of market research to a company to sustain and grow in the market.